President, Sarah Hall Productions, Inc.
With 25 years of experience in the entertainment business working with models, celebrities and brands, Sarah Hall represents high profile entertainment and lifestyle clients. Known for her unswerving dedication to clients and meticulous attention to detail, Sarah represents high profile clients in the entertainment and lifestyle categories. Clients include athletes, authors, chefs, designers, doctors, fitness experts, television personalities and more. Sarah has an excellent track record of building brands through strategic media placements. 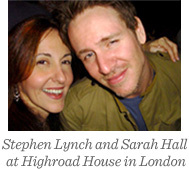 Since founding SHP in 1994, Sarah has built a reputation for her ability to take personalities or products from niche industries and cross them over into more mainstream press. 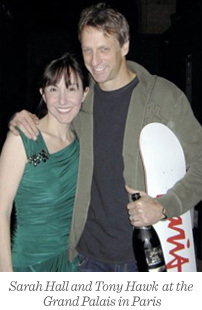 For example, upon signing underground skateboarder Tony Hawk in 1998, Sarah designed a strategic, national media campaign, which included feature stories in select, high-end media as well as an introduction to a talent agent. This winning combination of publicity and a steady stream of new projects propelled Hawk and his talents to become a pop culture icon in record time. 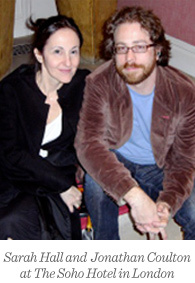 Prior to founding SHP, Sarah worked in the Contemporary Music Department of the New York offices of the William Morris Agency. Before that, Sarah worked as an agent at Ford Models, Inc. for seven years. Her roster included some of the most beautiful women in the world such as celebrity models Jerry Hall and Christie Brinkley as well as Christy Turlington and Jennifer Connelly, who she helped transition from newly discovered models to stars. Sarah earned an associate degree in Advertising Communication with a minor in Fine Arts from the Fashion Institute of Technology in New York. Sarah is proud to work with the Children's Craniofacial Association. Although she travels for business, Sarah resides in Manhattan with her husband and three children. WHAT does a sleep doctor, an author and a celebrity skate-boarder all have in common? They share the same fairy god-mother, publicist Sarah Hall. Hall adores the offbeat talents her boutique firm handles. And, like them, she has an unusual gift: She dreams up PR campaigns that can propel dormant careers into multifaceted marketing juggernauts. SARAH HALL PRODUCTIONS, INC. —“the little company that does big things” occupies a sky-lit loft on lower Broadway in Manhattan. The firm counts premiere lifestyle brands and entertainment personalities among its clients. Sarah Hall represents just 25 brands at a time, enabling her to “sit down and blue-sky a creative strategy, an entire campaign for each client.” She lives near the office with her husband, an entertainment attorney at William Morris Endeavor, and their three young children. 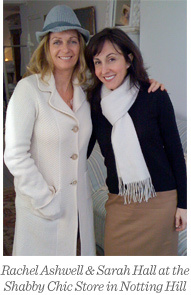 DESCRIBE YOUR COMPANY: Sarah Hall Productions, Inc. is an award-winning, full-service PR firm in New York’s Noho. 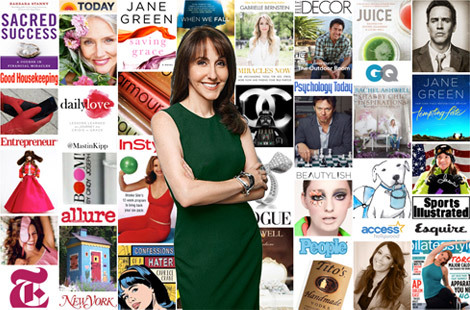 Our client roster includes authors, athletes, designers, TV personalities and more. WHAT DO YOU DO? I started SHP 20 years ago. I’m still very hands-on, signing business, attending photo shoots, events and traveling to London and Los Angeles constantly to meet with clients, managers and agents. HOW DID YOU GET INTO PR? My career in the entertainment world included stints at Ford Models, the William Morris Agency, and as a personal tour assistant to a pop star. Eventually, I wanted to work on the personal and professional aspects of a client’s career. PR felt like a good fit for me. WHAT WAS YOUR BEST PITCH? After being rebuffed by every East Coast media outlet I pitched Tony Hawk to back in 1998, I targeted the (more difficult) business press. The pitch was, “Here’s a guy who wakes up in the morning, but instead of driving to the office, this clean-cut, soft-spoken dad drives to the half-pipe to support his family.” It worked. It was interesting and eventually led to bigger features in mainstream outlets. with Stephen Lynch at 2AM but that’s a story for another time. WHAT IS THE BIGGEST ITEM YOU’VE EVER PUT ON EXPENSES? As I am the boss, everything is approved, or so my accountant tells me. WHAT DO YOU WISH YOU HADN’T SAID TO THE MEDIA? “My client is never late.” Of course, I said it on the one day his car service got lost. WHO WOULD YOU MOST LIKE TO WORK WITH? I love a challenge. Trying to turn around the career of a celebrity who’s gotten a bad rap. WHICH HISTORICAL FIGURE WOULD YOU MOST LIKE TO REPRESENT? Most historical figures didn’t seem to need publicists. However, being a publicist in the old days of Hollywood would have been very exciting as you were literally “building” an image and a career. It must have been a very glamorous time. NAME ONE THING ABOUT YOU MOST PEOPLE ARE SURPRISED TO LEARN: When Eileen Ford threw dinner parties at her townhouse, I would occasionally have to baby-sit the teenage models who lived there at the time. Looking back, babysitting teenage models seems an unlikely part of someone’s job description. WHAT IS YOUR SECRET TO SUCCESS? I really love what I do and I find my clients fascinating. I couldn’t imagine doing anything else. BEGINNINGS: WHEN DID YOU FIRST REALIZE YOUR PASSION/TALENT FOR THIS LINE OF WORK? My passion for PR arrived early. My mother worked at Columbia Pictures and as a child, I loved visiting the publicity department. People said I was unusually persuasive for my age–the markings of a true publicist! At 14 years old, I called the School of American Ballet for a talented friend who had no experience but dreamed of studying at SAB. I requested an audition for him (to perform his mime routine!) and stated that if they were as impressed as I thought they’d be, they’d have to offer him a full scholarship because his family didn’t have the funds. He got the audition and started studying the Russian technique of ballet, on scholarship, that week. That was the beginning of me really enjoying giving voice to other people’s talents. WHAT WAS YOUR FIRST EXPERIENCE OF NEW YORK CITY LIKE? My first NYC experience was when I was about 5; my mom would bring me to the city. Even as a child, I knew I would live here. 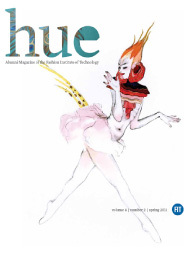 Then college at The Fashion Institute of Technology, which was a fantastic experience, complete with cool jobs and the most interesting array of people. NYC continues to deliver, so much so, I still live here with my husband and our 3 children! All of the things Eric and I liked: the museums, the theater, the food – we now enjoy with our kids. We really love raising our kids in what we feel is one of the most exciting cities in the world. AS A STUDENT, WHAT STEPS DID YOU TAKE TO REACH YOUR GOALS? My “plan” in college was that one of my non-paying internships would lead me to a great job upon graduation. And, that’s exactly what happened. The owner of a production company I interned at helped me land a job with his wife’s family business, which was Ford Models. I worked there as an agent for seven years. After, I worked at the William Morris Agency, then I traveled with a pop star, and upon returning from a 1 year tour, I was ready to try PR. I opened SHP with only 2 clients and it steadily grew from there. DID YOU HAVE A MENTOR OR SOMEONE WHO INSPIRED YOU? The time I spent at Xenon and Studio 54 was incredibly inspiring to me. At 18 years old, I saw Halston, Andy Warhol, Jerry Hall and Mick Jagger plus countless others I had read about, in this incredible setting. It showed me that NYC offered special opportunities for success if you were willing to work hard. It also offered fair warning of how quickly it could be taken away if you should falter. CAREER: HOW LONG HAVE YOU WORKED IN THIS INDUSTRY? I’ve had my company for 20 years. I am grateful to be making a living doing something that I enjoy so much. My clients are fascinating people and I love giving voice to their creativity. WHAT WAS THE PIVOTAL MOMENT OF SUCCESS IN YOUR CAREER? Thankfully, there continue to be many. First, it was realizing with all of my combined experience, I’d make a strong personal publicist. Then, getting my office, traveling for work, signing my first west coast client (thankfully many followed), my first UK tour (thankfully many followed). More pivotal moments to come! WHAT INSPIRES YOUR WORK? Art, travel and my kids, but not necessarily in that order. Also, a client that is interesting, talented and/or charismatic. One element is good, but all three and you have a triple threat on your hands. WHERE DO YOU SEE YOURSELF IN 5 YEARS? Doing what I do on a more global scale. IF YOU COULD HAVE BEEN IN A DIFFERENT LINE OF WORK, WHAT WOULD IT BE? A Profiler. PERSONAL: WHAT IS YOUR MOST TREASURED POSSESSION? WHAT IS A LITTLE-KNOWN FACT ABOUT YOU? Patti Smith and I used to write to each other when I was in the 10th grade. I sent her watercolor postcards that reminded her of her sister. She loved them and that started our exchange. LAST WORD: WHAT WAS THE BEST ADVICE YOU RECEIVED THAT YOU’D LIKE TO SHARE WITH PEERS AND CURRENT STUDENTS? You will get what you focus on, so be responsible with your thoughts and with your words. WHAT IS YOUR MOTTO? With the given amount of time, the improbable becomes the inevitable. Sarah Hall is the founder of Sarah Hall Productions, a public relations firm right here in New York. A former FIT student, she is celebrating her 20th year in business. Hall is known for her attention to detail and her dedication to her clients. She has dealt with some of the best in their respective industries, such as Tony Hawk, Jennifer Connelly and Christy Turlington. Having met both models when they were first discovered, she played a role in helping them become the superstars they are today. W27: How did you attract the accounts that your firm has? SARAH HALL: When I first wanted to get into PR, 20 years ago, my first three clients found me through friends that I had known when I worked at The William Morris Agency or other past jobs. It’s pretty much been a steady flow of word of mouth ever since. Only now, word of mouth is not only from friends, but also among publishing houses, talent agents and managers I haven’t even met yet. We have been told that our work and our reputation precedes us (literally), which is very flattering and has been very good for business. W27: How do you get new business? SH: Fortunately, my phone rings, a lot. I do reach out to thank people for recommending SHP or try to schedule a lunch so I can get to know the people who are standing behind our work and recommending us during their round table meetings. I am always networking because people may forget what you said and what you did but people will always remember how you made them feel. And I always remember that it is as important to be kind as it is to be smart. People want to work with people they like. W27: Since you started, what was your most difficult moment? SH: I find the best way to deal with a difficult moment, is to just deal with it. I am not the type of person to sit on my feelings or walk around wondering how to position the “reality” of a situation. For most things in life, it is what it is and I try to have that conversation. As long as I know that I have done everything that was within my power to address a situation, that my side of the street is clean, I am actually very confident about having that conversation. When you look back, dealing with life’s difficulties tends to make you stronger. W27: Why did you start your business? SH: I never planned on starting my own business but my very first client and her agent implored me to start my own company because they had worked with many of the other PR firms at the time and were deeply dissatisfied. So I did and it grew from there. It is wonderful to have a client believe in you so strongly. W27: Why did you choose FIT? SH: I had interviewed and visited with a lot of schools but when I walked into FIT, I knew I was home. This was IT; the students, the vibe, the teachers. It was and still is, such an incredible place. Whether people realize it yet or not, your education at FIT will serve you well on many, many levels. I also have to say, living at the dorms for 2 years was amazing. I would liken it to living in the hippest hotel in the world. Everyone across the hall or next door was just incredible at what they did (majored in) – so you were living next to an amazing fashion designer, photographer, illustrator, jewelry designer – to be surrounded by that much talent was overwhelming and a feeling I will never forget. W27: Did you have a mentor at FIT? SH: New York City was my mentor. There were incredible people everywhere at FIT from the teachers to the students, each with a fascinating story to tell, along with great museums, restaurants, performance spaces and nightclubs. W27: Looking forward, how do you see your business? SH: Looking forward, I see the opportunity to continue doing what I love but on a more global scale. Many people may not realize it, but the lifestyle footprint in London and Australia is very similar to the lifestyle footprint here. I love crossing a client over from a niche into more mainstream press and would love to continue building these arcs with more international, global clients. I would like to think that the work we are doing at SHP is helping to build a more global, pop culture tapestry.